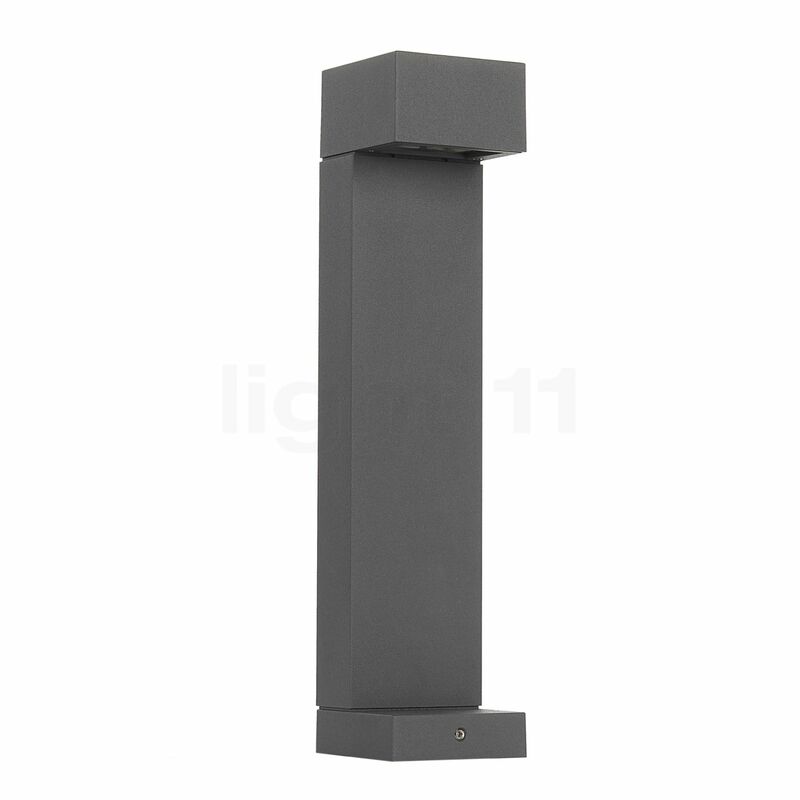 The Bega 88500 bollard light LED stands out for its minimalist design. An approximately 50 cm tall aluminium bar stands on a square base with a side length of 11 cm. On top, there is a square-shaped, shielded lamp head. As usual, the German light manufacturer Bega delivers a high-quality product and excellent workmanship. The reflector, for instance, is made of anodised ultra-pure aluminium. For the body, Bega used cast aluminium and stainless steel. The light opening is covered by clear safety glass. 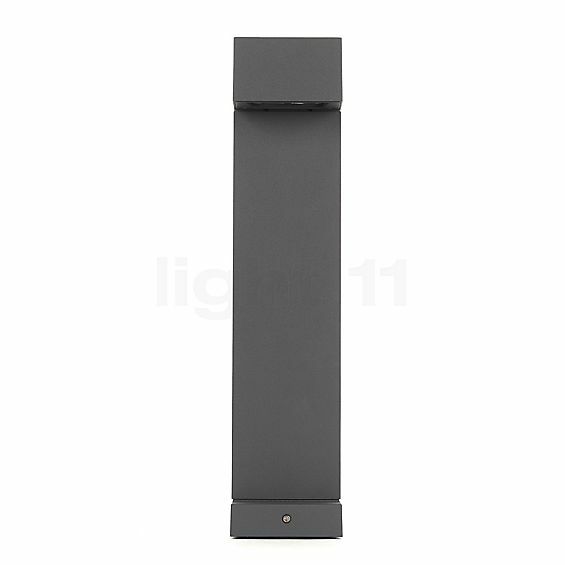 On top of that, the Bega 88500 bollard light LED either comes with a graphite surface finish or in silver. Glare-free light is ensured by the lateral position of the LEDs. The functional design of the lamp head leaves enough space for the electronics and a wide light opening. The Bega 88500 bollard light LED broadly illuminates the area directly in front of it with a flat beam of light. By means of a modern LED module, the bollard light consumes only little energy: 4.2 watts are sufficient to generate a luminous flux of 560 lumens. The brightness is comparable to that of a 60 watts incandescent lamp. With 3,000 Kelvins, the light temperature is warm-white. Furthermore, the Bega 88500 bollard light LED is classified IP65, which means that the luminaire is dust tight and protected against damage from water jets. In addition, the light fixture has an impact protection of IK08. Tell other customers and us about your experiences with the 88500 - Bollard light LED ! The Bega 88500 bollard light LED has many areas of application outdoors. With its downwards-directed glare-free light, it is predestined to for lighting paths and squares. There, the outdoor light provides orientation and thereby increases safety. Furthermore, driveways and entrance areas may also profit from the orientation light of the 88500 bollard light LED.